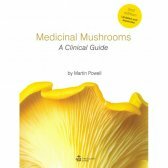 This beautifully illustrated and fully referenced new book based on the latest research covers the most common medicinal mushrooms, focusing on their therapeutic application and cross referencing them according to clinical conditions. In addition there is a quick reference section with brief summaries of individual mushrooms' main therapeutic application(s) and active constituents, and of the mushroom(s) commonly used for specific conditions with preferred dosage formats, as well as an appendix on the energetics of mushrooms in traditional Chinese medicine (TCM) for those practitioners trained in this approach. Martin Powell is a biochemist and Chinese herbalist who has worked with mushroom nutrition for over 20 years. He lectures at the University of Westminster and is the author of Medicinal Mushrooms - A Clinical Guide. As well as running a clinical practice, he continues to research mushrooms´ health benefits and run seminars on their clinical use for doctors and other healthcare practitioners in the UK and worldwide. 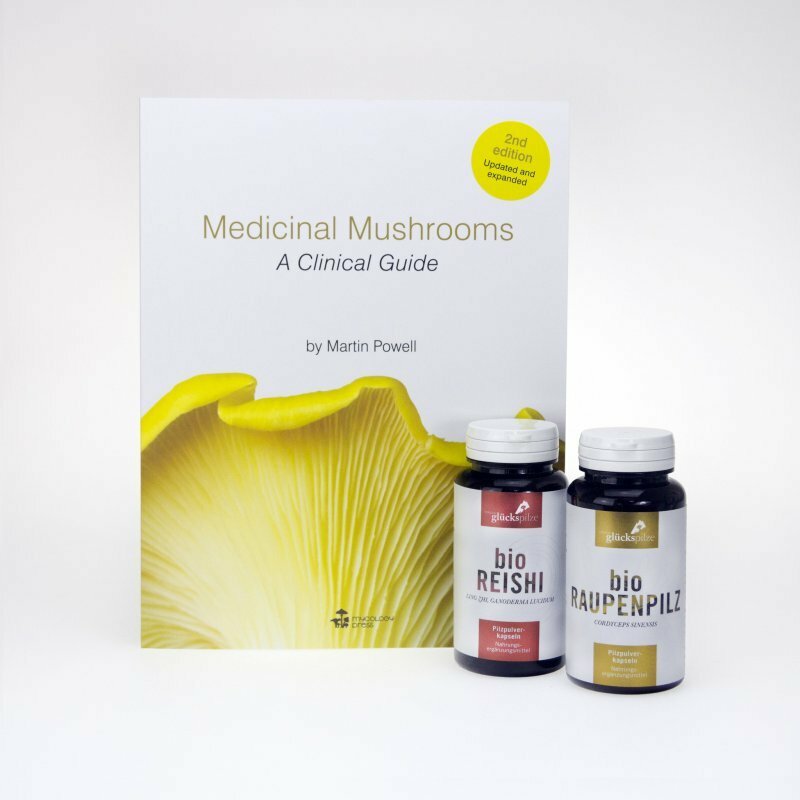 Set Vitalpilze und Buch "Medicinal Mushrooms - A Clinical Guide"
Autor: Martin Powell, Taschenbuch: 152 Seiten, Sprache: Englisch! Aus dem Inhalt: This beautifully illustrated and fully referenced new book based on the latest research covers the most common medicinal mushrooms, focusing on their therapeutic application and cross referencing them according to clinical conditions. 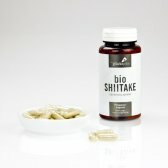 In addition there is a quick reference section with brief summaries of individual mushrooms' main therapeutic application(s) and active constituents, and of the mushroom(s) commonly used for specific conditions with preferred dosage formats, as well as an appendix on the energetics of mushrooms in traditional Chinese medicine (TCM) for those practitioners trained in this approach.